Just two weeks after opening its doors, the fabulous new Els Club Teluk Datai on the island of Langkawi, Malaysia has been named World’s Best New Golf Course and Best New Golf Couse in Asia at the inaugural World Golf Awards in Portugal. The 18-hole, par 72 championship course was designed by South African golfing great Ernie Els, who went out of his way to ensure that the course is not only a terrific challenge for players but also one of the most spectacular and beautiful places to swing a set of clubs on the planet. The course is set on 47 hectares amid 10 million-year-old rainforest with the Machinchang mountains providing a stunning backdrop. It stretches all the way to Datai Bay (voted by National Geographic as one of the top 10 beaches in the world) and the Andaman Sea. Traditional bunkers have been replaced by natural hazards in the form of tropical vegetation and streams, so a round on this course will improve your mental wellbeing as well as your game! 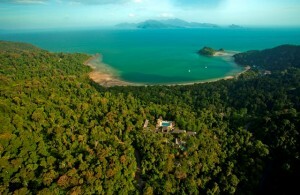 And it’s adjacent to the award-winning, five-star Datai Langkawi, which regularly top polls as one of the world’s best resorts and is a sublime spot to reconnect with what’s important ­– even if you don’t play golf. The Els Club and its unprecedented leap into golfing’s big time raises Malaysia’s stakes as a true international golf and leisure destination and in about a year from now, this success will hopefully be repeated with the opening of two new golfing properties in the southern state of Johor: the 27-hole Els Club Desaru Coast and the 18-hole Els Club Desaru Valley in 2016. 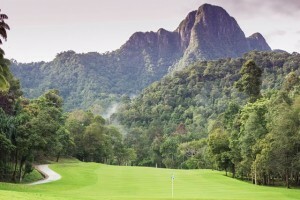 Add to that other magnificent courses, such as the Kuala Lumpur Golf and Country Club, the Kota Permai Golf and Country Club, the Mines Resort and Golf Club (both just outside KL) and Horizon Hills Resort in Johor, and Malaysia is definitely a must-visit destination for devotees of the small-ball game. New Zealand’s own golfing star, Lydia Koh, has already secured a Malaysian fan base following her apearancd in the Sime Darby LPGA Malaysia, in October this year, at the Kuala Lumpur Golf and Country Club (KLGCC).